When thoughts turn to Spring….. The weather is starting to tease us here in the North Pole (not really the North Pole, but sometimes it sure feels like it!). Balmy spring weather is in the forecast for the next week…only a teaser as mentioned, Spring won’t really be here for at least another 1-1/2 months….that’s too loooonnnnngggg! For today, the birds are outside singing at full throttle, and my brain has started to think of all things garden related. 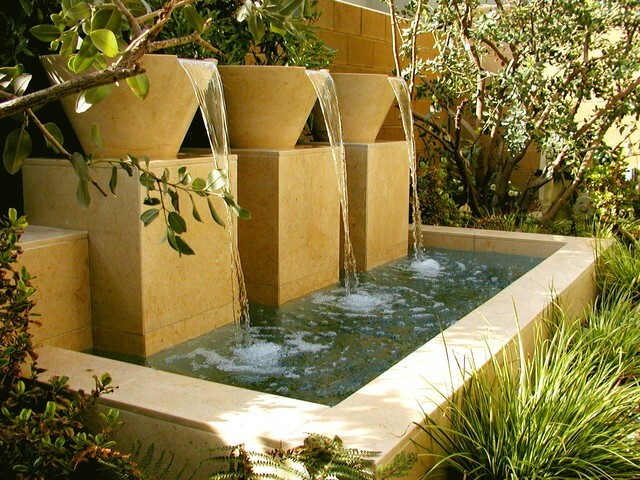 Water features are one of the simplest things to do if you’re looking to create ambiance in your backyard haven (or front yard, or balcony). I love fountains, and my garden must have the soothing sound of water. 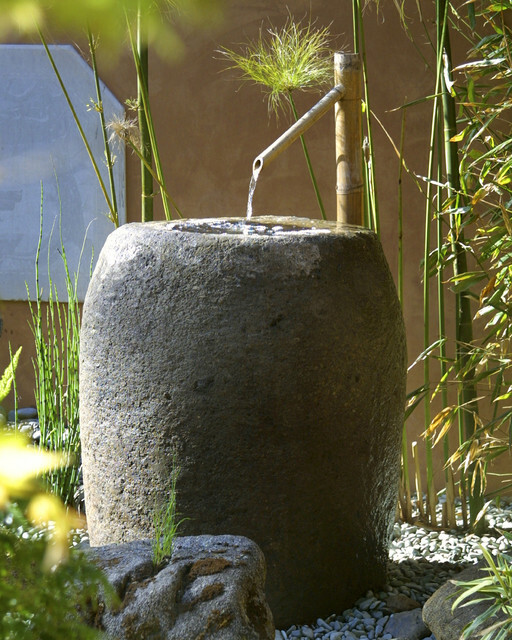 Have a quiet moment and listen to the meditative sound of running water in the garden outside (I’m pretending here)……..
Now for a few photos to get you inspired…………. Here’s the backyard setup at my last home…..the fountain DID make all the difference as I backed onto a busy highway…. This entry was posted in Decor, HomeStyle and tagged balcony, Bliss, deck, Decor, design, Fountain, garden, Haven, Home, Landscaping, Outdoors, Relax, running water, Serenity, Water. Bookmark the permalink.